The AWS Certified Advanced Networking Specialty certification exam is one of the AWS certification exams that corroborate the knowledge and experience in the design and implementation of AWS services and hybrid IT network architectures. This certification exam is not for the beginners, but for the individuals who are already skilled in performing complex networking tasks with AWS. To find complete AWS Certification Advanced Networking Specialty Certification Exam Blueprint, visit here. 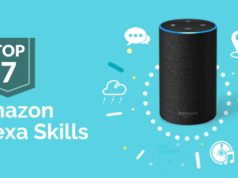 An AWS cloud professional who have considerable knowledge in AWS and have passed one of the Associates (or the Professional) AWS certifications, can start preparing for the AWS Certified Advanced Networking Specialty certification exam. It is required to cover all the six above mentioned exam objectives including basic level networking concepts while preparing for this certification exam. In my opinion, Exam Blueprint is the good start to prepare for every IT certification. It is recommended to have a look at the official exam guide. It that will be highly helpful for you to understand the topics and subject areas covered in the AWS Advanced Networking Specialty certification exam. It also specifies the percentage weight of each objective. Here is the Blueprint for AWS Certified Advanced Networking Specialty exam as given by AWS. Amazon Web Services offers a program, Amazon free tier to allow you use the services. You can sign up for the Amazon free tier to get free of cost subscription to all the services for 1 year. This is for the users who are new to the AWS cloud platform and want to test the services. It is very helpful for the candidates who are preparing for any of the AWS certification exams. You will have access to all the services with limited usage. It is required to have the practical knowledge of the services. You may have some scenario-based questions in the exam to check your real-world experience level. So, sign up for the Amazon free tier and start playing with the services. Official Guide – The official guide for the AWS Certified Advanced Networking Specialty exam provides you exam information. It gives the details of certification exam like exam information, recommended skills, exam pattern, and blueprint. It means will this guide will give you an overview of what kind of exam it is. Documentation – The AWS documentation gives you complete information about the services. You will get here enough information about the services from the basic introduction to the high-level and advanced features. There are different categories of the services so choose the required one to get the details. Sample Questions – AWS not only helps you to get familiar with the exam pattern but also with the exam questions. For this, AWS offers you 10 sample questions to practice for the exam after you have gone through the AWS preparation resources. These are multiple choice and multiple response questions with the explained answers. You can start your preparation with AWS Certified Advanced Networking Specialty certification Free Sample Questions offered by Whizlabs. These free questions will help you get an idea of the exam pattern of the actual exam. So, when you have gone through all the official study resources, it is the right time to read some good AWS books. There are several books that cover the various objectives of the AWS Certified Advanced Networking certification exam. You can read one or more books that cover all the exam topics. The Official Study Guide is the one-stop solution for the coverage of AWS Certified Advanced Network Specialty exam. It is highly recommended to read the official guide while preparing for AWS networking specialty exam. You can also read this book more than one time to clear all the concepts of exam objectives. The networking cookbook is the perfect recipe to master the concepts of networking. It will help you eliminate all the complications and issues of AWS networking. This book is helpful to learn design and implementation of connected and multi-tiered AWS systems. 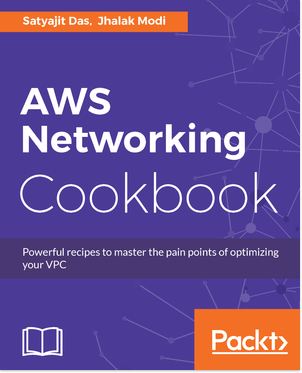 This networking cookbook is highly recommended to learn the networking concepts on AWS platform. The Practical AWS Networking is the one-step preparation guide that helps you learn everything about the AWS networking. This book provides you hands-on experience of working on AWS networks. 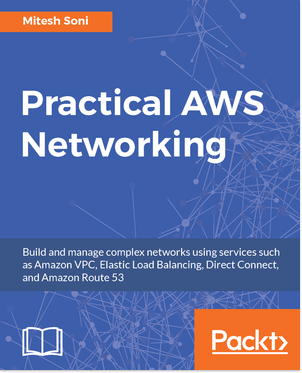 Along with the basics of networking, this book covers AWS VPC related tasks, AWS Direct Connect, Amazon Route S3, and Elastic Load Balancing. In the end, this AWS networking book covers best security practices and troubleshooting tips for the network. If you are self-learner kind of person, then online training videos are good to prepare for the exam. There are a number of good online certification training providers. You can choose the best one and join the online training course for AWS Certified Advanced Networking Specialty exam. You can also find many free of cost online videos at the official AWS channel. These videos will help you clear the basic concepts of AWS networking. Practice is very important for perfection. When you are done with all the preparation, just move to practice. 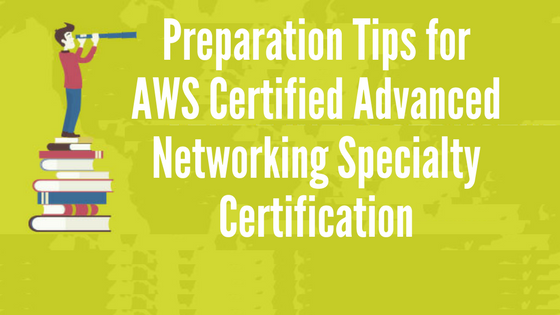 Find out online practice papers for the AWS Certified Advanced Networking Specialty exam. You can also practice through free practice questions. It will help you check how well you are prepared for the exam. Also, you will be able to find your weak areas to improve them. 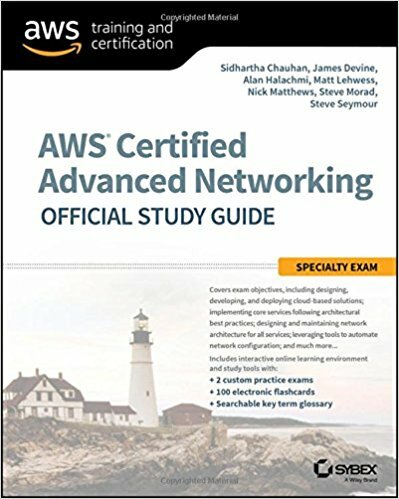 Preparing for AWS Certified Advanced Networking Specialty exam? Check your level of preparation with the Free Practice Test. The full-length mock exams at Whizlabs will help you determine your weak areas and thus will let you know where to put more efforts to pass the AWS Certified Advanced Networking Specialty certification exam. Have a significant knowledge of IPV4 IP addresses, NAT gateway, and subnets. Configuration and diagnosis of both the Internet Gateways (IGWs) and Virtual Gateways (VGWs) in complex hybrid networks. Have a good understanding of the Prefix and CIDR – understand the basic process of supernetting and subnetting along with the overlapping of CIDR ranges. Understand the basics of VPC peering i.e. which IP addresses are reserved for VPC and VPC subnets. Also, get to know multi-account VPC architecture, VPC endpoints, VPC flow logs, VPC size for all the AWS products, min and max subnets. Know the basics of AWS Route tables, how to use multiple route tables for multiple subnets, configuration, and diagnosis of route tables. Know the basic structure of working Security Group (SG) and Network ACL (NACL). Know the detailed architecture of Direct Connect (DX) with physical as well as the logistical process. Domain Name Server (DNS) in the perspective of web type and hybrid architecture. 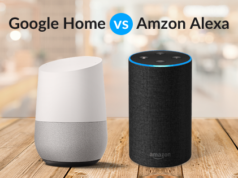 “There is no match for the real world experience in the AWS domain”. You can either start your preparation with the most difficult topic to the most accessible one or vice versa. If you are the self-learner kind of person and want to cover theory and practice both, Whizlabs self-study training will help you the most. All you need to do is focus on your training, more on weak areas, and gain considerable experience in AWS console. 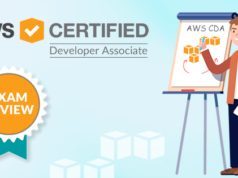 The aim of Whizlabs is to help the individuals in their journey of preparing and passing AWS Certified Advanced Networking Specialty certification exam. We deliver the best and high-quality preparation material to evolve professional career. Whizlabs content is prepared by the industry experts who have a great knowledge and passion for cloud computing. We are continuously growing our cloud expert’s community. 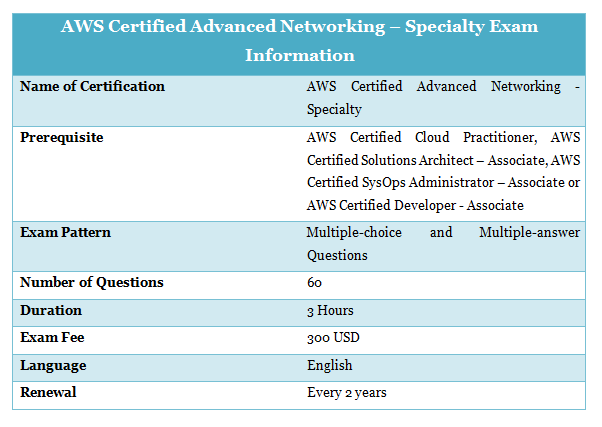 Preparing for AWS Certified Advanced Networking Speciality Certification? Pass in 1st Attempt. Start with Whizlabs Free and Practice Tests Now! If you have any query or question, feel free to write here in the comment box and our subject matter experts will respond you to resolve the query.